The new Fortuna Caduceus Collection makes the perfect gift for a medical professional sworn to honesty and ethics. The Fortuna Caduceus ballpoint is perfect for those on the go, with quick, twist-top point deployment. 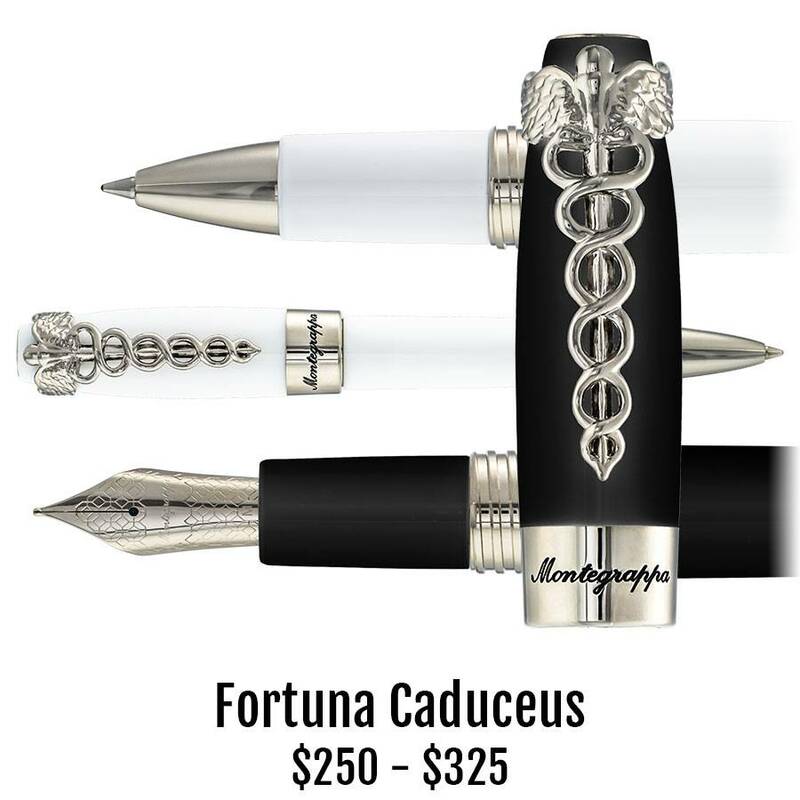 While at a desk, the Fortuna Caduceus fountain pen or rollerball lays down ink smoothly and reliably. The trim is palladium and the clip features a stunning depiction of the Rod of Asclepius, a familiar symbol from Greek mythology. Durable black or white resin comprises the body of these balanced pens.